Caring citizens have supported coastal bird wardens for over 100 years. These brave individuals risked everything to defend rookeries from poachers and disturbance. Today, this proud legacy continues with wardens, biologists, and volunteers like you. Thanks to efforts of people like you, poaching is a thing of the past. But today, new threats jeopardize the future of these iconic birds. Habitat loss and erosion, disturbance by recreational beachgoers, and the lasting effects of environmental disasters like Deepwater Horizon are just some of the risks they face. Iconic Gulf species like Roseate Spoonbills, Least Terns, Black Skimmers, and Brown Pelicans need your urgent help. A gift to Audubon's Coastal Team will make sure these birds have a chance at life. 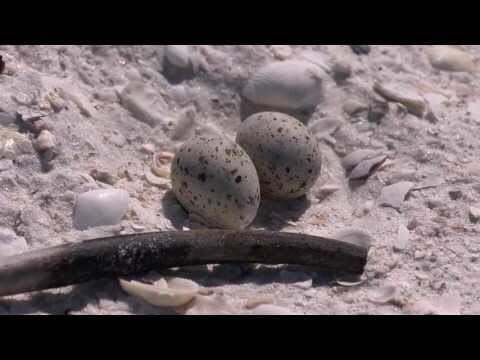 Support Audubon’s coastal bird conservation work throughout Florida. Because, without the birds it is only a beach! Your investment can make a difference. $100 covers scheduling of volunteers for a site for busy summer weekends. $ 500 pays for staff outreach to media in advance of the Fourth of July Weekend, enlisting their help to educate beachgoers about this vulnerable time for chicks on our beaches and coastal islands. $1000 supports the staff time, equipment and fuel needed to clean rookery islands of fatal fishing line and other debris each year. We stretch every dollar even further by training and empowering volunteer citizen scientists to help monitor and protect these declining species. Not only does this extend our reach (and your investment! ), it helps us build a constituency for these birds, who willingly engage when the birds need advocates most. "My first active involvement with Audubon was surveying beach-nesting birds at Fort Matanzas National Monument, south of St. Augustine. That led to bird stewarding with my family and friends including my grandson John, who has helped protect the birds since he was 4 years old. John, now 10, and I have advocated at public meetings about beach driving issues. Bird stewarding is a family affair for us." Photos by Monique Borboen, Harold George, Dave Kandz, Marianne Korosy, Lorraine Margeson, Linda and Carmen Martino, David Macri and Reinier Munguia.